Here is a first look at the jacket for the American edition of my most recent book. 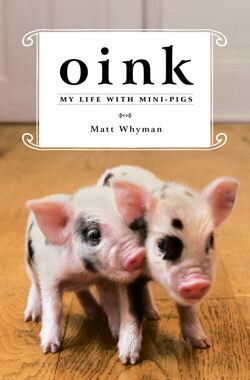 Oink: My Life With Mini-Pigs will be published on September 20th 2011 by Simon & Schuster. More details, and anything minipig-related, can be found at the dedicated blog for the book: http://www.oinkminipigs.com/.